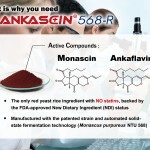 George Lee and Tzu-Ming Pan introduce SunWay Biotech’s groundbreaking red yeast rice extract, ANKASCIN® 568-R, which has been recognized as a New Dietary Ingredient by the US FDA. 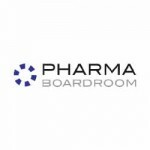 SunWay Biotech is now bringing this unique product onto the global stage and are considering developing a pharmaceutical product based on the same compounds. Quick Look at ANKASCIN® 568-R slide show, please click here! 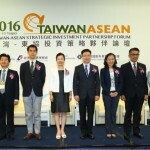 The Taiwan-ASEAN Investment Strategy Partner Forum, organized by the Ministry of Economic Affairs’s (MOEA) Department of Investment Services, was held at the Taipei International Conference Center today (the 13th). 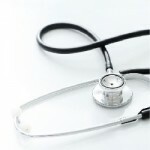 Two Clinical Trials Further Back Up Our FDA-Approved NEW DIETARY INGREDIENT! 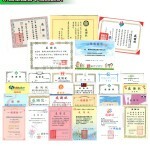 For the past nearly 20 years, ANKASCIN 568-R has been proven by 120+ publications to be effective in managing blood lipids, blood sugar, blood pressure, and improving symptoms of Alzheimer’s disease through many animal tests conducted by Professor Tzu-Ming Pan from National Taiwan University, Taiwan. 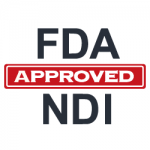 With more than ten years of time-consuming and laborious efforts in manifesting the functions and safety, we proudly announce that our NEW red yeast rice extract (ANKASCIN 568-R) has been approved by the US FDA as an NEW DIETARY INGREDIENT (NDI, report # 855). Congratulations! 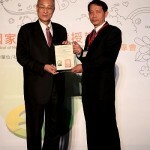 Vigiis 101 plus+ of SunWay Biotech Co., LTD. is awarded The Symbol of National Quality in the Health Food Category by Institute for Biotechnology and Medicine Industry. Congratulations! 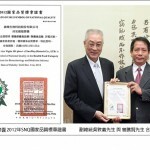 沛安菌乳酸菌 of SunWay Biotech Co., LTD. is awarded The Symbol of National Quality in the Health Food Category by Institute for Biotechnology and Medicine Industry. Congratulations! 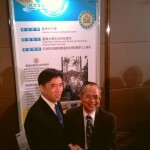 The Professor Tzu-Ming Pan from National Taiwan University is awarded the Industry-University Collaboration Award in 2010.